“Those coming to India for medical treatment, India will provide immediate medical visa for the patient and an attendant,” says Prime Minister Narendra Modi at the SAARC Summit 2014 in Kathmandu, while speaking on medical tourism and connectivity within SAARC region. Medical Tourism is an important aspect that needs to be laid emphasis on for every developing nations as it would not just be an opportunity to increase tourism to the nation, but would also bring along world-class healthcare to the country. Quality healthcare is the most ignored aspect of growth in developing countries from times immemorable. However, things have been changing in the recent times and developing nations have started emphasizing more on the need for providing quality healthcare services to its citizens as well as to attract health tourism to the country. India has been emerging as the most sought-after healthcare tourism destination over the past few years as it offers world-class healthcare services at affordable prices. International India Medical Tourism Congress that is gearing up to take place on December 13 and 14, 2014 at Kempinski Hotel, Delhi is an indication of the popularity of medical tourism in India. International India Medical Tourism Congress (IIMTC) 2014, would serve as a platform to meet the leading names in medical tourism and healthcare industry in India and the World, where professionals from local, regional and international healthcare sectors, wellness and spa centers, medical facilitators as well as tour operators and travel agencies meet for the development of the sector in India. The event would also see in attendance several stakeholders from the industry who would focus on offering high-quality medical services, and explore the investment opportunities in healthcare throughout the world. India is among the popular hubs for medical tourism as the Visa norms for medical travellers are liberal and with the Prime Minister’s new initiative to provide immediate visas for the patients and their attendants, visiting the country for treatment would boost medical tourism in a much vigorous manner. 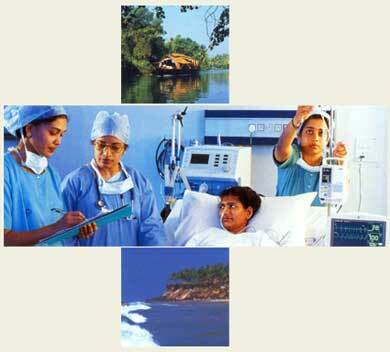 Why Attend International India Medical Tourism Congress 2014? International India Medical Tourism Congress 2014 would be the ideal platform to meet, network and interact with all the players of the healthcare industry from across the globe. There are numerous hospitals, insurance companies, leading medical tourism associations and industry leaders from over 20 countries across the world would be participating in the two-day congress. This would be a wonderful opportunity to learn about the developments in the industry and meet the pioneers from the industry. International India Medical Tourism Congress 2014 would facilitate One-on-One networking sessions and provide the opportunity to connect with the key industry players, experts, government officials and policy makers. The event would have over 500 National and International Delegates visiting the events while there would be and over 100 Exhibitors from the industry exhibiting their innovative products and solutions. These apart, there would be over 100 government officials, ambassadors and diplomats present at the two-day conference. Intense knowledge sharing sessions covering medical tourism, wellness and spa, medical facilities,tour operators and travel agencies to current medical research initiatives and globalization would take place, which makes it the ideal platform to learn and stay updated about the industry happenings. So, hurry and register now to be part of International India Medical Tourism Congress (IIMTC) 2014.